Divyesh Sherdiwala has over 20 years of technical experience of various fields. He is involved in development of new methods and processes for Textile industry. Bringing his technical knowledge of Chemicals and its applications, he works closely with the Research & Development team of the Company. Jayesh Chevli overlooks Financial matters related to the company. He works closely with Banks and Financial Institutions for generating funding for company’s expansion projects. Jayesh worked at various level in Finance & Accounts department with Industry and has in-depth knowledge of Accounts. Bhavdeep Doshi is an Engineer from Sardar Patel University, Vallabh Vidhyanagar in the year 1995. He has over 15 years of technical experience of laser machining field. 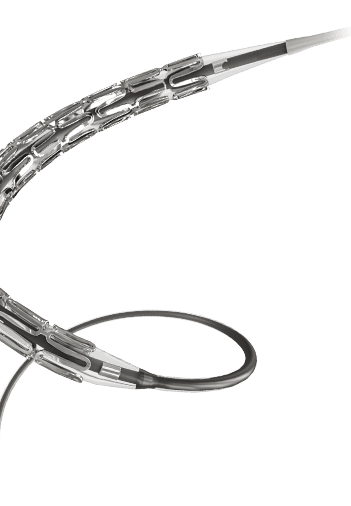 Since past 6 years he diversified into Cardiology devices with focus on Drug-eluting stents, balloons and other accessories. Devanshu Sheth heads new expansion projects of Envision. He also serves as the Managing Director of Tanvika Polymers Pvt. Ltd. He has extensive experience in specialty chemicals and implementation of turnkey projects in Middle East and South East Countries, since the last 15 years. Nipul Patel joins Envision Management team in January 2011 with extensive business accumen and knowledge. He is currently Professor in Information Technology at highly acclaimed Purdue University, Indiana, USA. He has been consulting various US government projects as well as Multinational companies on Networking as well as IT Security related issues. He has been in forefront in the latest fields of Cloud computing and Virtualization. Kalpesh Verma joined Envision team in January 2011. He has been instrumental in expanding his family business – Bharat Tires Pvt Ltd to new heights where he is the Chief Financial Officer (CFO). He has been active in Capital Funding procurement in Innovative businesses. Kalpesh has been a highly motivated social activist.